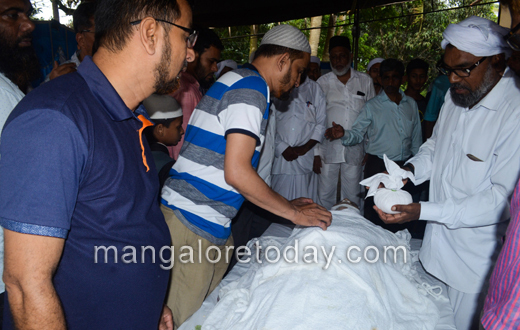 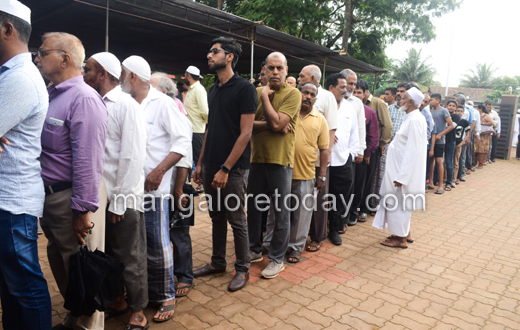 Mangaluru, July 11, 2018: Mr B A Mohideen, the former minister for Higher Education was laid to rest at Bajpe Eidgah Juma Masjid on Tuesday, July 10 with full state honours. The 81-year-old politician passed away due to age-related illness on Tuesday morning at Bengaluru’s MS Ramaiah hospital. 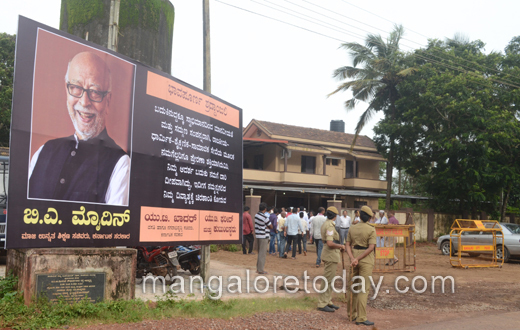 His body was kept for public viewing at his Bengaluru residence for a brief period on Tuesday morning. 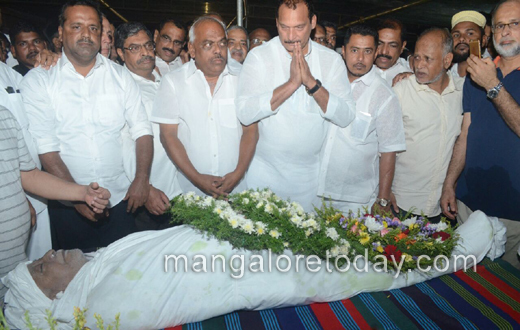 Chief Minister HD Kumaraswamy and Former Chief Minister Siddaramaiah paid their respects. 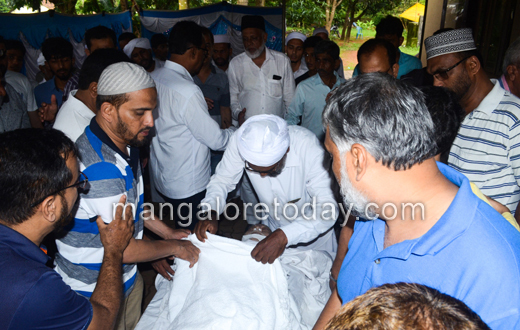 The body was then brought to Mangalore by special ambulance by evening of the same day. 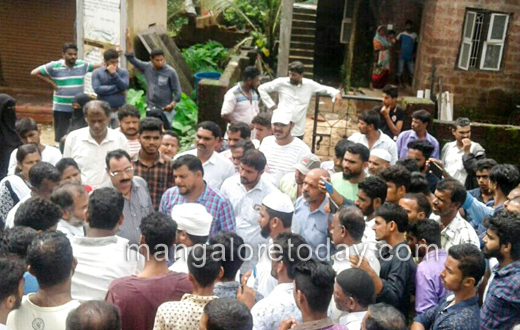 Dakshina Kannada Deputy Commissioner Sasikanth Sentil,Urban Development Minister UT Khader, Assembly speaker Ramesh Kumar,MP Nalin Kumar Kateel, MLC Ivan D’Souza and several other politicians were seen paying homage to the veteran politician.